My brother came to me with an interesting request awhile ago. 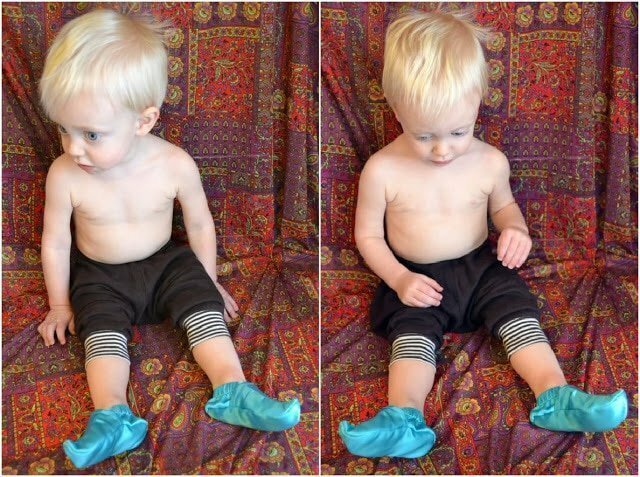 He wanted to give his friend Jasmine baby shoes, and he wanted me to make them. 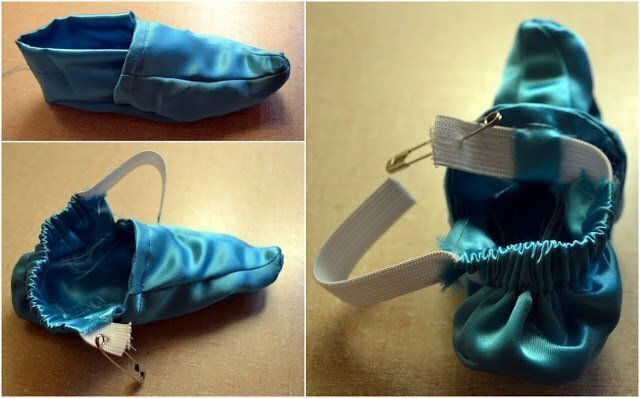 Well, with just a little work, I came up with an adorable pattern and simple tutorial for Princess Jasmine baby shoes, or Genie baby shoes if you have a boy. They came out a little bit bigger than I intended, but they still work well. 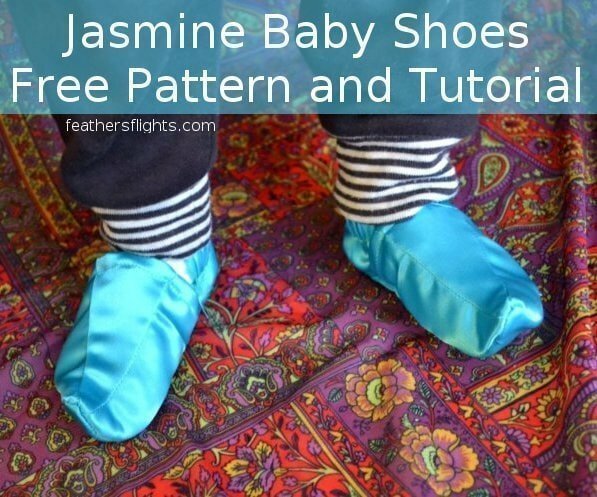 They are about a size 12 mos baby shoe. That’s when most kids are learning to walk anyway. My sons feet are still small enough to fit in these shoes; he’s such a little guy. I really love this little genie! 1. Fold the back piece on the fold with right sides together. 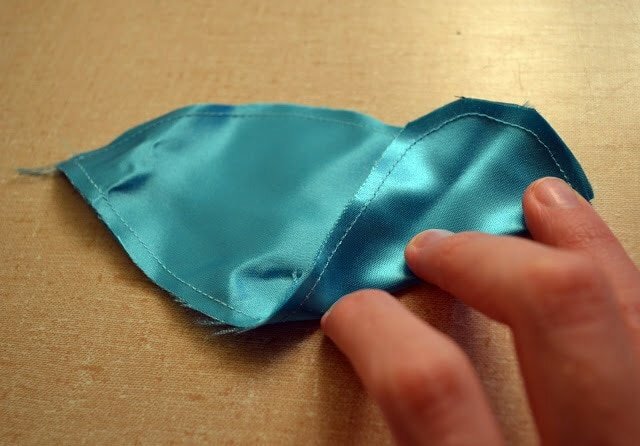 Sew at 1/4″ along the lower diagonal. Turn right side out. 2. Sew along the top at 1/2″. 3. With right sides together, pin the inside curved edge of the top side to one diagonal edge of the top middle. Sew at 1/4″. 4. Do the same with another top side to the other side of the top middle. 5. Clip the seam allowances. 6. Repeat for another top piece. 7. 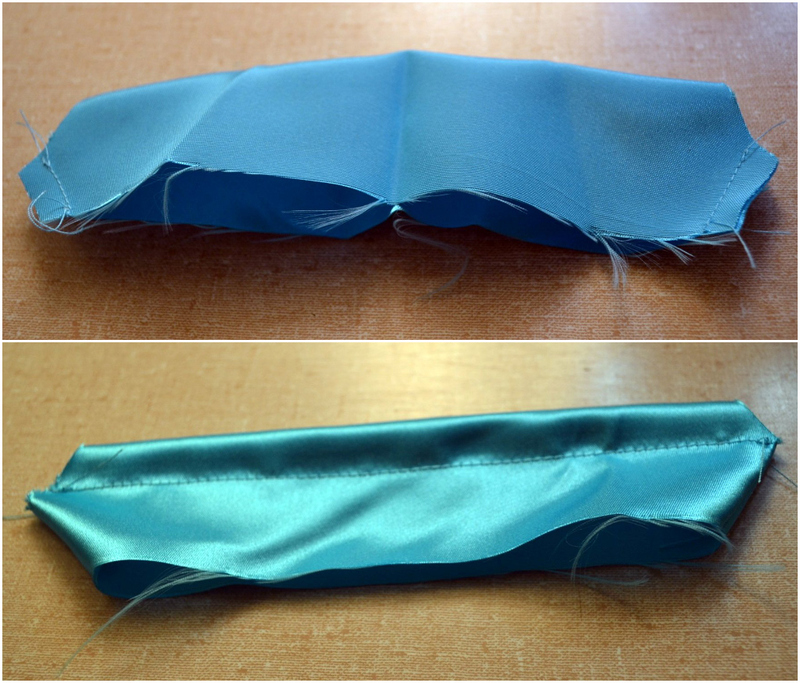 With right sides together, place the top pieces together and sew the flatter edge at 1/4″. Turn right side out. 8. 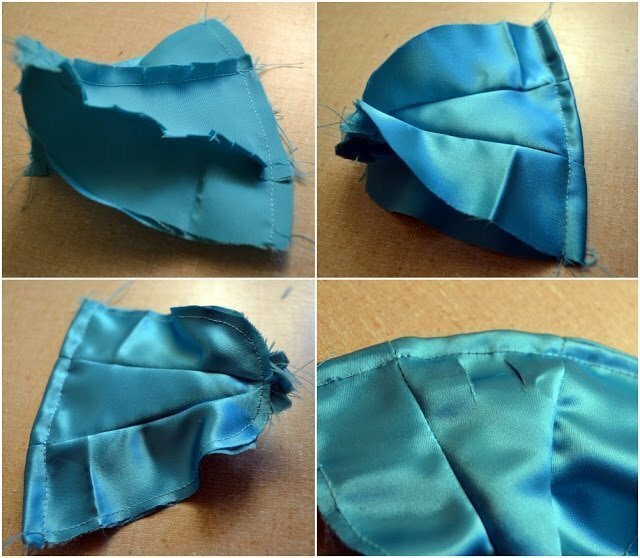 Sew a topstitch 1/4″ from edge. 9. Pin unfinished edges together matching up as well as you can. Baste. 10. Cut two 1/2″ slits about an 1″ apart on the underside of the top piece. 12. Baste two sole pieces together. 13. With right sides together, match the toe corner of the sole to the toe corner of the top. 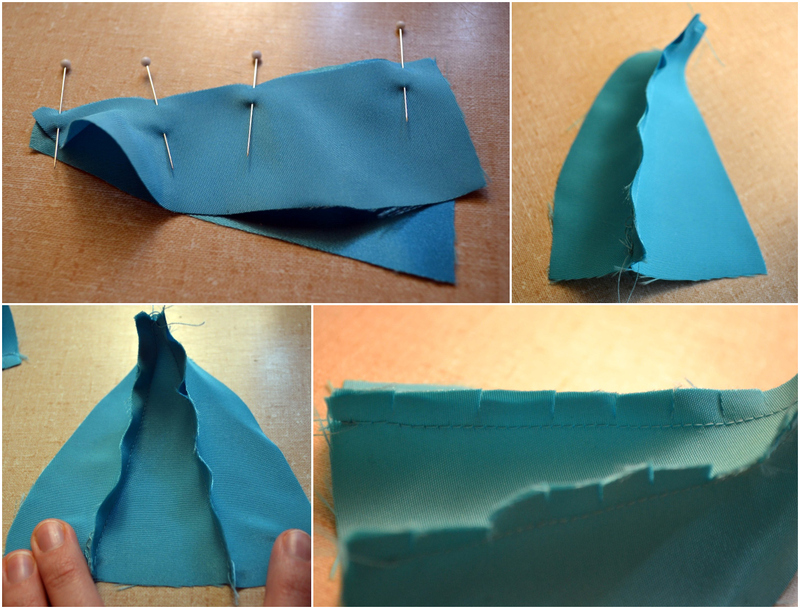 Pin one side and sew at 1/8″. 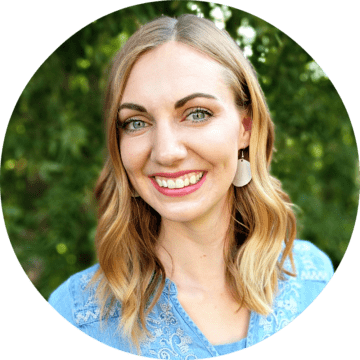 Stop 1/4″ from edge and backstitch! 14. Pin the other side and sew. Trim the corner. 15. Find the middle of the back piece and line it up with the mark on the heel of the sole. 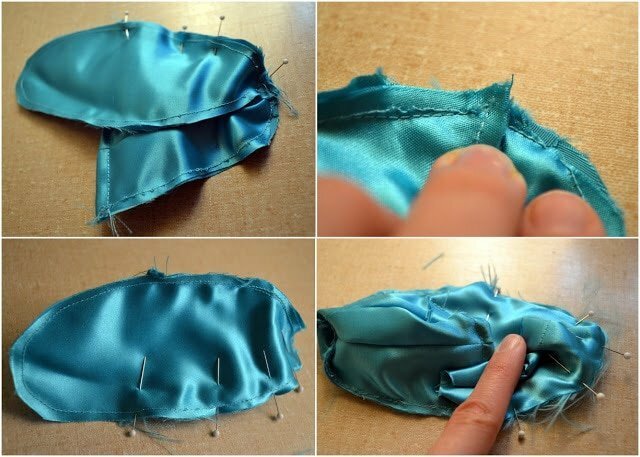 Pin right sides together and sew at 1/8″. 16. Turn right side out and make sure you caught all the raw edges. 17. 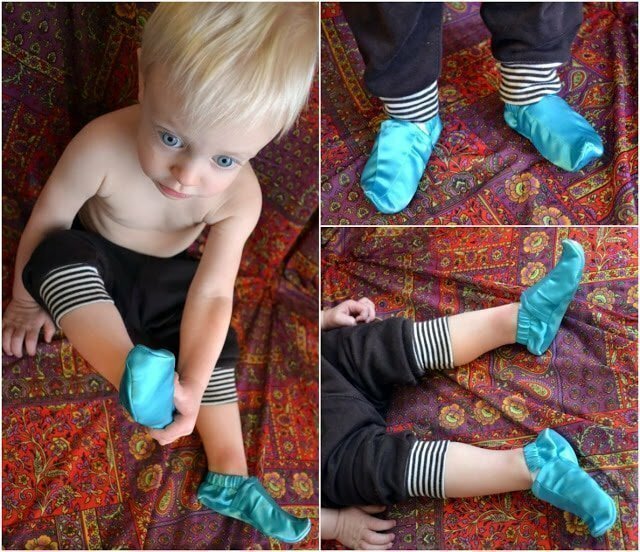 Cut elastic 6″ and insert into the casing around ankle. 18. Thread through cut slits on top part of shoe. Sew ends of elastic together and hide join inside the casing. You’re done! These are just so fun; I can’t stop looking at them!